[STEEMSPOT] The New Interactive STEEM Map - Spot, Share and Discover steemers around the world! Steemspot is the first steemit geo based interactive discovery platform! 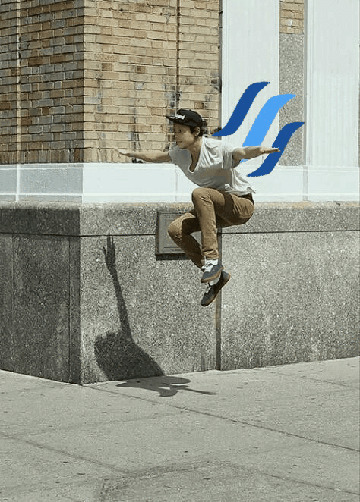 Thousands of new steemers are joining per week - steemspot helps us join together and share where we live, where we traveling, and together building the first world steem map! Steemspot was created so that the steem community could have a central spot to easily share their spots, and for steemers to visually see just how diverse in location our great community is. Enjoy! 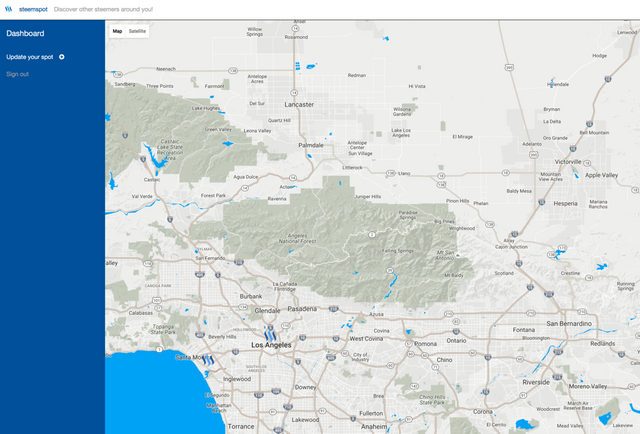 HTML5 Geo Locating. In the early beta release this is the primary location mechanism. Hit add my location! After the geolocation is complete your marker will now be in the steemspot map! Come back anytime and update your location if you move or travel to a new location! What are you waiting for? Help build the steemit world map now! New featured added for extra privacy! You can now mark your spots to your city. 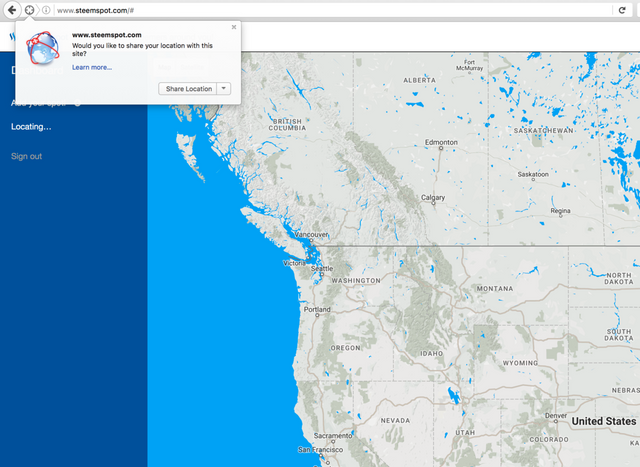 When you click "Change spot to my city" the geolocator will update your spot to your city - not the actual full address. Thanks! That's a great feature! safety first! Great contribution to the Steemit ecosystem! Here is how I try to do the same aka help any tiny bit I can. Its awesome it reminds of Pokemon map where you place the pokemon locations you find ! Awesome! This is along the line of the post I made yesterday about the interactive incentive App [Steem.Fit] It Pay$ To Be Active. Incentive App For Exploring The Physical World, Awarding Internal & External Benifits. It would be cool to work together if your interested. I was thinking about doing this myself.. Just didn't have time.. Great Idea. A lot of steemers will like this! Thanks for sharing this @originate! I'll be taking a look at the map and see if anyone else is Steem-ing around me. Nice, I'm in Long Beach CA!! One of the best places on earth!! This is cool, I wish there was some way that you could collect all the data of general areas people were posting in without having to join the site. For example how you can tell with people running bitcoin nodes. Maybe in the future when a gui client gets created we can do that. Is cool, can you possibly add a history markers for individual users showing all the places I've Steemed in the past? Seems like every day that someone is enriching the experience of the steem community. You deserve my upvote and my appreciation. Thank you! Very interesting, congratulations. The ecosystem of steemit related websites is growing day by day. @originate well done. this is a great idea and a real sense of community is being shared. This is the first step to Steem Go, soon we will all be able to go to places and receive steem by catching whales with our whalemasterballs! @davidduckwitz Thanks! You can now mark your spot to your city level for added privacy.. while some steemers might want to drill down that detailed, others may not. @fleetinuance Thanks! 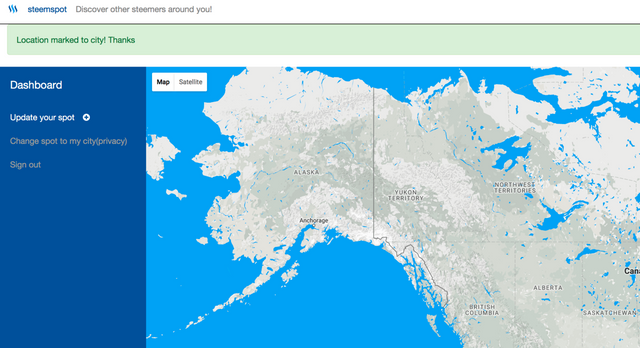 Just added a new feature that allows you to mark your spot on your city(rather then full address) after you geolocate. After you create your spot you can click "mark to my city" in the menu bar. This way you can still represent your location but not to the address level. How can the real location be vefiried? I know there are some tricky tweaker that can modify one's location at will. Hey, great idea with SteemSpot! Since you got in the TOP 10 Trending articles on Steemit I've added your article to the Flipboard Steemit Trending Magazine for everyone to see it. so this mean we all spot all steemit member around the world?